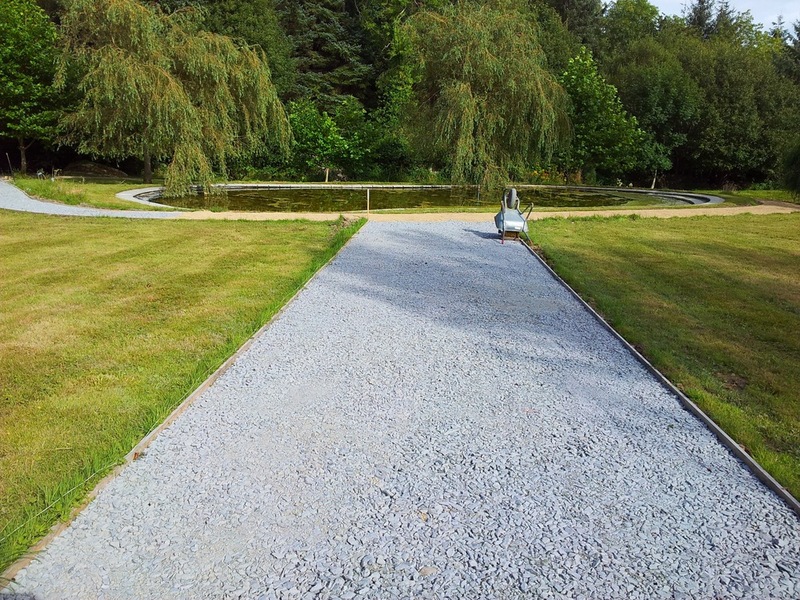 A Large Garden on Rural site in Powerscourt, Enniskerry County Wicklow. Our brief was to connect the upper Terrace to the lower gardens and waterfeature. A broad thoroughfare was landscaped to connect the terrace steps down to and encircling the natural pond water feature. The path then parallels the boundary of Gardens and back up to Terrace leading occupant through a complete garden walk. 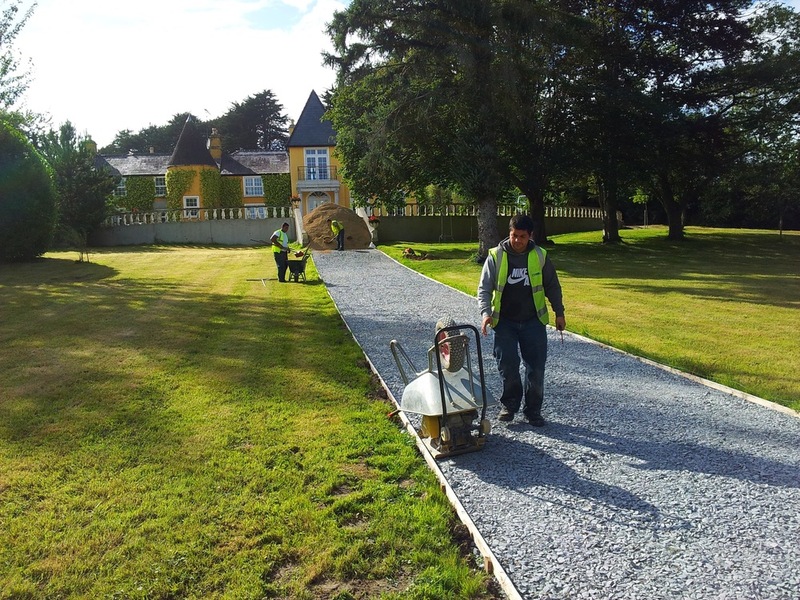 Local Ballylusk quarried aggregate was used as material to define pathways and central thoroughfare. "the landscaping and groundwork has thoroughly integrated the garden landscape "